Zach Hornsby personal trainer Brighton. There are many reasons to choose Zach Hornsby personal trainer Brighton, it maybe that you would like to lose weight for a special occasion or maybe just to feel a bit more confident on the beach for your summer holiday. You might want to tone up and work on building some muscle. Maybe you are an up and coming athlete and want a competitive edge. Below are just some of the personal training programmes I can offer in Brighton, Hove & Sussex. 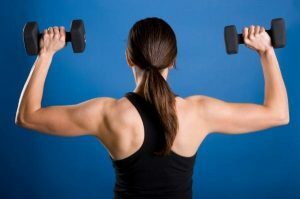 Strength and endurance training is a type of exercise that causes your muscles to contract against weight, which in turn builds up the strength and mass of the muscles. Other benefits include a decrease in body fat and blood pressure, an improvement in posture and bone density, and a decreased risk of injury during training. When planning a resistance programme to target a specific area of the body, or the whole body approach, the key is to select the appropriate equipment for your needs. Your likes, dislikes, goals and fitness level and skill are all taken into consideration. Whether you want to tone up, gain muscle mass, increase muscular strength or increase your endurance levels, Zach Hornsby personal trainer Brighton can get you there. Sports conditioning is a way of providing a safe and effective exercise programme that clearly relates to specific sporting requirements. There are a significant number of people that take part in specific sports, whether that be rugby, boxing, basketball, tennis, marathons or triathlons, who would like to improve their performance. Sports conditioning simply aims to develop the functional ability of the body to perform a sport through a suitable training programme. This includes training any or all the components of fitness: cardiovascular, muscular strength/endurance, power, flexibility and motor skills (speed, balance, reaction time). The way to achieve and maintain a healthy body is associated with an active life style, in which exercise plays a large part. By providing my clients with information on why they have become overweight, it allows them to understand what they have to do to reverse the trend of weight gain. My programmes cover how to maintain a healthy diet with an exercise programme which includes regular cardiovascular exercise, a focus on burning calories, and resistance exercises to stimulate lean muscle growth. This is especially important on a fat loss programme, as resistance training helps to keep lean muscle that might otherwise be lost. For more details contact Zach Hornsby personal trainer Brighton.